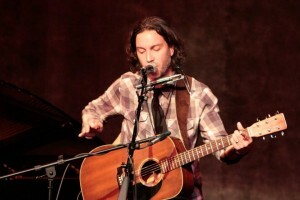 Is Brian Dolzani’s new album a sign that the best is yet to come from this singer-songwriter? 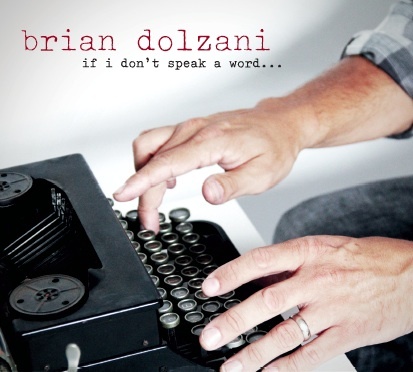 Dolzani’s website uses three words to describe his album: Introspective/Heartfelt/Intimate. It’s a start. My first impression, upon hearing an early sampler with 5 songs from word, was that Dolzani sounds more than a bit like early Neil Young. He also has a freshness and love for his craft that calls to mind the younger Matthew Sweet. It just so happens that both Sweet and Dolzani are admirers of Mr. Young, and sing one or more of his songs when they perform live. The CD begins with “Older Now,” which sounds like a track from the Crosby, Stills & Nash album. The singer is still trying to figure out life, and we’re the beneficiaries of his confused pondering. Track two, “Reasons,” sounds like Leo Sayer in its melancholy tone and lyrics. Which takes us to “Whether or Not,” the best song never recorded by Neil Young and Crazy Horse. The singer is battered and bruised by life and love’s indifference, “I lose blood and it matters not to me…” He wants to see the face of the guy who his girl now loves more than he. Although the band behind Dolzani is a bit too synchronized to be Crazy Horse, any Young fan will agree that this is a fine song in the style of Everybody Knows This Is Nowhere or After the Goldrush. The protagonist of “Broken” views his life as a mess, with the pieces of his body lying on the floor. The singer has been knocked down, but he’s ready to get up and rejoin life; he’s healing even if it means having to revisit “old feelings, old dreams.” It’s a Tim Hardin-style song that reminded me of “No Regrets.” In “Not As Lonely,” the protagonist tries to convince himself that his world has not ended because his lover has left him. It recalls “I Thought I Knew You” from Sweet. “Hey Dad” is Dolzani’s tribute to his late father, a man who was not perfect. It’s enlivened by a Beatles Revolver-style backing track. “Wilted” includes a Harvest era melody harmonica, as the singer concludes (in words that almost sound lifted from Young), “Happily ever after is a fantasy…” The protagonist in Young’s “The Loner” would identify perfectly with this song. The album concludes with “I’m Sorry Now”. The singer is down (“I’m sorry for the way I can make you feel like you’re dead.”) but there’s a tone of hopefulness for the future on the edge of his voice. It makes for a fitting conclusion to the album, except that it feels like an idea for a song rather than something fully realized. I think most will find this to be a pleasant and enjoyable collection of songs. Its weakness is that it suffers from a lack of variety in tone. As one person remarked, “A little bit of that guy goes a long way.” On Girlfriend, Matthew Sweet sang a number of heartbreak ballads, but he also unleashed four wild and heavy rock songs, “Divine Intervention,” “Evangeline,” “Girlfriend” and “Does She Talk?” Perhaps Dolzani can find two or three lead guitarists to similarly embolden his next recording session. A review copy of the CD was provided by a publicist. I love the idea of music reviews in this format. I love the analysis of the lyrics and song’s purpose. Very interesting.